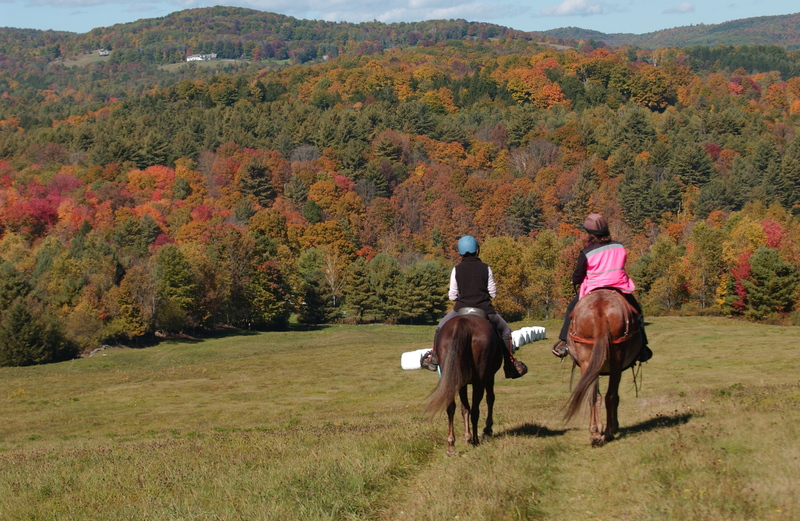 Equestrians are invited to share a multi-use trail that extends approximately 3 miles from the Ascutney Outdoors Center (AOC) on Ski Tow Road to Kimball Farm Road. From that point, you can connect via dirt roads to West Windsor, where additional riding terrain on trails and dirt roads is abundant. The multi-use trail is dirt road and double-track with gravel and natural surfaces, and is shared with mountain bikers, runners and hikers. The trail head is the large gravel parking lot across from the AOC. Ascutney Outdoors welcomes suggestions from organizations for trail riding events. With its large parking lot and nearby availability of lodging and food, the AOC is an ideal event site.